Cahnman's Musings: How can we, REALISTICALLY, eliminate property taxes?!? How can we, REALISTICALLY, eliminate property taxes?!? 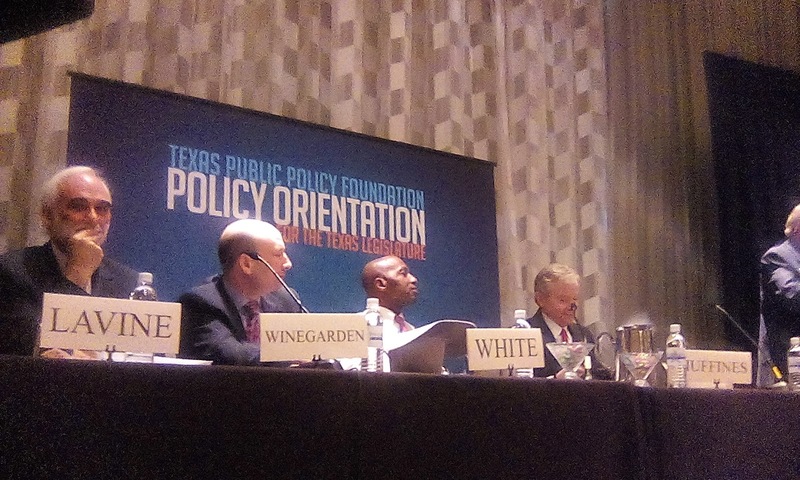 Final TPPF Policy Orientation panel of the afternoon: "Should Texas Eliminate Property Taxes?!? "; it's not easy, but it's worth doing. The most important takeaways is that, for eliminating property taxes to become viable, you need binding restraints on local spending...FIRST. That's because bonds currently issued by local governments are obligations against property tax revenues. Thus, you need to bind future spending and debt before you can wind down current obligations. Furthermore, if you don't curtail spending at the local level, you're likely to (realistically speaking) end up in a situation where property taxes survive but we have higher state sales taxes as well. Property taxes are a really inefficient mechanism for government to raise money. Businesses pay half of property taxes. Property tax elimination raises complicated legal questions re: debt obligations of local governments. Note: This is probably a surmountable obstacles, but it's potentially fraught with unintended consequences. Swapping school district M&O taxes for sales taxes is the most realistic achievable step in the short to medium term. Taxing "professional services" could help modernize the sales tax system...but good luck getting the legislature to raise taxes on lawyers. Nobody discussed our previous questions about online sales. Bottom Line: It can be done, but it needs to be done carefully, and nobody should underestimate the potential for unintended consequences.